This 8-piece set makes coin identification and problem-solving so much easier. Can be used to play games, for lessons, and as toy money to learn basic money math skills. 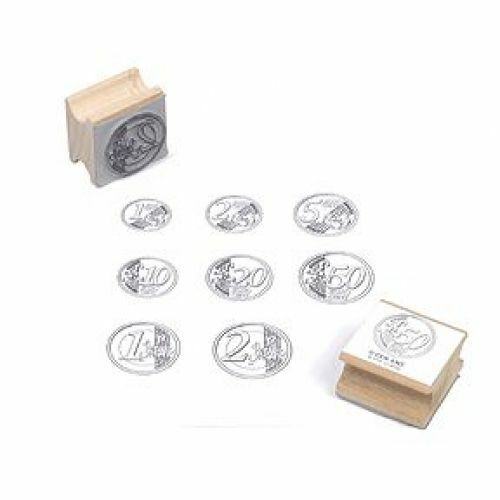 This set includes 1, 2, 5, 10, 20 and 50 cent plus, 1 Euro and 2 Euro rubber coin stamps.